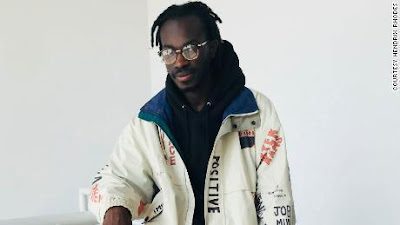 Besides creating algorithms for Instagram and Snapchat and consulting for Twitter, he’s now working with Kanye West and Jaden Smith to create augmented-reality experiences around music and politics for the tech festival ComplexCon next year in Chicago. “With Jaden, we are getting more young people to vote and creating experiences around that,” Sandu told CNN about his work with the musician and actor who is the son of Hollywood stars Jada Pinkett Smith and Will Smith. Born in Accra, Ghana, Sandu’s parents came to the United States when he was 3. He learned to code when he was just 13, during a work experience at Google eight months after the tech giant moved into Frank Gehry’s “Binoculars Building” in Venice, California. For Sandu, it was a life-changing experience that cemented his meteoric rise in the American tech industry. In 2019, he plans to go back to Africa to help students envision social platforms of their own. To share the young entrepreneur start up experience that is uniquely refreshing to inspire the young and old once striving to impact lives but lack the motivation and ideas to kick start a firm, we believe through The YCEO medium, spirited individuals can build a well structured future. Our mission is to project the entrepreneurship and the young entrepreneur who is working hard to put work-done out there to benefit individuals.